Console Wars: The battle between Sega and Nintendo for American console market. I grew up playing games like Westwood’s Command and Conquer and Blizzard’s Warcraft: Reign of Chaos. These games went through their highs and lows eventually paving the way for other game studios to make real-time strategy (RTS) games such as Halo Wars and Tom Clancy’s End War. One of the most famous series is the Total War series developed by Sega. Console Wars tells us the story of Sega of America’s rise, and how Sega broke Nintendo’s monopoly in the gaming industry after the video game crash of the 1980s. As a video game enthusiast, and a lover of real time strategy (RTS) games, I was enthralled by a book that told me the history of one of my favourite developers. Blake J. Harris was able to successfully turn a non-fiction account into a page turning thriller, except instead of a murder site or an ominous location, our story takes place in retail stores, convention centres, and office buildings. From the perspective of Tom Kalinske, a former CEO of Mattel, we see the growth of the American division of Sega. On a family vacation in Hawaii, Tom Kalinske is approached by an old friend Hayao Nakayama, the president and CEO of Sega Enterprises, who eventually is able to convince Kalinske to give Sega a chance. Though reluctant at first, Tom Kalinske eventually agrees to fly with Nakayama to Sega’s headquarters in Japan and see what the company is up to. Once in the headquarters Kalinske gets exposed to Sega’s 16-bit home console, the Sega Genesis, and their handheld portable system called the Game Gear. Amazed by both devices Kalinske takes up Nakayama’s offer and agrees to lead Sega of America. His predecessor, a former colleague and friend, Michael Katz, tried to remake Sega’s image but was unable make a dent in Nintendo’s hold over the market. Sega of Japan formed the opinion that Katz was driving Sega of America into the ground by over-spending on games and clients that didn’t appeal to the market. However this opinion assumed that American markets behaved like Japanese markets, and limited to Japan’s authorization on strategy, Katz had little choice on the matter. Kalinske decided to try a different approach but in order to do so he need free reign. Sega’s Japanese board members refused to authorize his plans but Nakayama over ruled them to allowing Kalinske to do as he please. This was the first step to paving the way for Sega to dominate the advertisement market. In 1991 Summer Consumer Electronics Show, Tom Kalinske and his team reintroiduce the Genesis and it swiftly outsells Nintendo’s SNES. It is the first time since 1985 Nintendo does not dominate the home console market. By switching the game previously bundled with the console, and changing the Japanese game Sonic to suite American culture, Tom Kalinske surprised Sega of Japan’s members by turning the stagnant company into an the makings of a giant. Sonic went further to become integrated into American culture, becoming one of America’s mascots. The accounts in the book are all informative in one form or another. Such as quirky corporate maneuvering, like Sega’s decision to open up close to Wal-Mart’s headquarters in Arkansas as psychological play to win a distribution deal with one of the largest retailers in America. 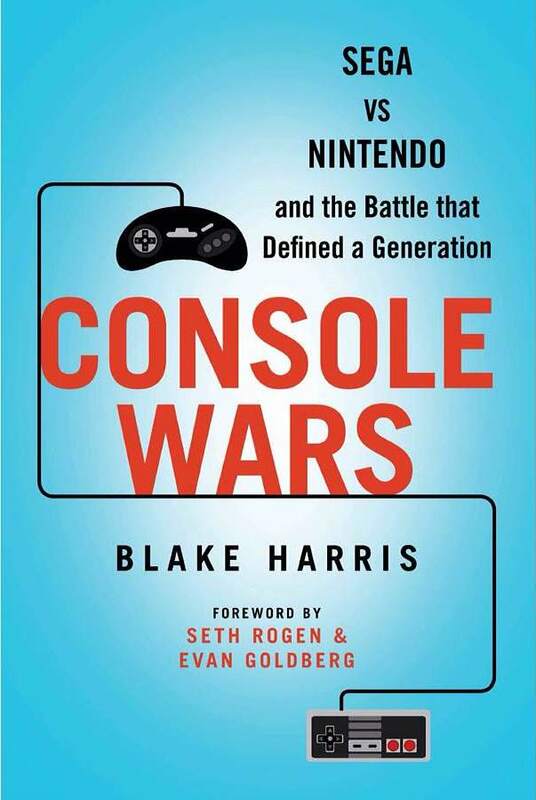 Information such as the creation of Nintendo Power, Nintendo’s gaming publication, coming about through the work of a warehouse manager named Howard Phillips make reading the history of both Sega and Nintendo all the more interesting and pushes the reader further into the book. Tom Kalinske began promoting Sega as a modern, teenage and young adult version of the “family-friendly” Nintendo. When both companies launched Mortal Kombat Nitendo decided to censor the game. This further pushed teenagers and adults towards Sega. However following a public outcry over the game’s violent content both companies became targeted by senate committees and third parties who lobbied that video games were creating a more violent and revolting generation. After Nintendo criticizes Sega for not censoring the game, Kalinske hits back to create the industry’s first “ratings system” for Sega’s games, which eventually evolves into the Entertainment Software Ratings Board. This allowed Sega and Kalinske to create multiple games and classifying them to certain ages, thus ultimately leaving the choice of which games were being played by kids to the people who bought them. As a teenager reading the history of how the rating system was developed for the games I grew up playing, it was one of my favourite parts of the book. Seeing how close the video game industry came to dying a second time, and to hear about the difficulties of game publishers. It makes me appreciate game developers even more now. Despite such success, cracks begin to appear in Sega of America’s foundations. Kalinske worked on a deal with Sony to collaborate on a new console. His superiors in Japan believed the project to be unnecessary and cancelled it. Eventually released by Sony as the “Play Station”, Sega and Nintendo both lost their chances to work closely with Sony. Sega of Japan began producing the Sega Saturn, their promising 32-bit system, and gradually discontinued support for the Genesis. Kalinske protested that it was still viable, but board members refused to listen or allow Hayao Nakayama to intervene. Issues pertaining to the Saturn’s small game library, lack of a Sonic titles, distribution issues and unpolished design caused it to fail in American markets. Frustrated with Sega of Japan’s reluctance to accept his ideas or input, and aware that Nintendo would soon launch a 64-bit console, rendering the Saturn obsolete, Kalinske resigned from Sega of America. Sega of Japan ultimately decided to exit the console market and instead focus on making third-party titles for Nintendo and its newest competitor: Sony. A neat end to the rebirth of the video game industry in America, and the birth of some of the largest gaming hubs the world still holds today.